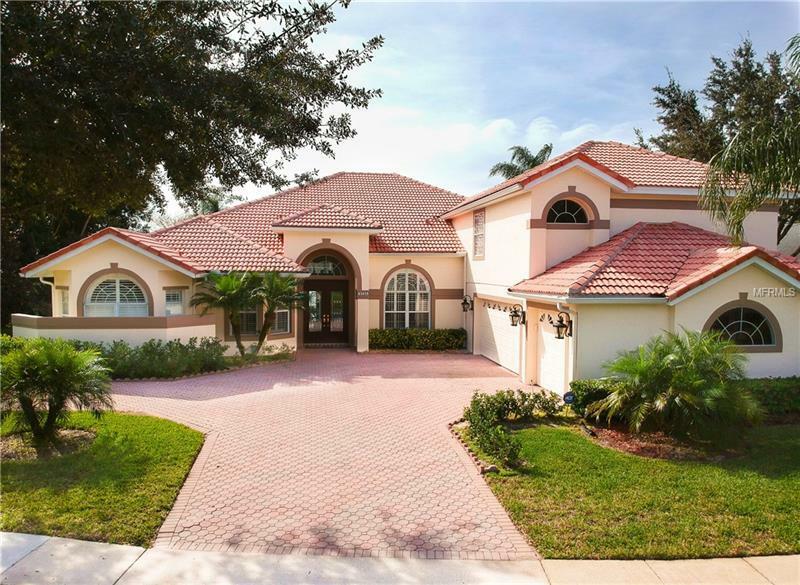 This Premium Lake Front Home is located in the gated community of desired Calabay Cove in Hunters Creek. The popular South Hampton model built by Engle Homes has a bright and open floor plan and features 5 bedrooms, 3.5 bathrooms, a huge bonus room , a 3 car garage with an oversized, pavered drive way All on an a rare to find lot with a pond in the front and Lake Calabay in the back. Enjoy spectacular sunsets and entertain your guests cooking on a custom built outdoor grill.The formal living room, kitchen and family room feature expansive views of the lake. This immaculate home is ready for the pickiest buyer and features upgrades, such as granite countertops, a wood-burning fireplace, crown molding, plantation shutters and more. The home was replumbed in 2014, had all electrical wires replaced in 2015, A/C replaced in 2014, Water Heater replaced in 2017, the pool was resurfaced in 2014 and has a brand new pool pump and electric pool heater. You can't beat the location, just 15 minutes from Disney, 20 minutes from the airport and down town Orlando. The schools are rated A+. This home is a gem . Don't miss the opportunity to own this remarkable home.